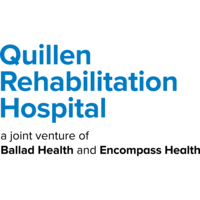 When you choose Quillen Rehabilitation Hospital, a joint venture of Ballad Health and Encompass Health as your rehabilitation partner, you’re choosing a highly qualified team of nurses, therapists and physicians working together to deliver a fully coordinated program of rehabilitative care. 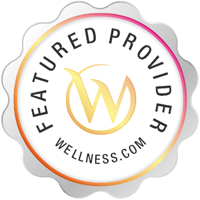 Our focus is on you, so we personalize each program to your diagnosis and condition and back those programs with enhanced technology and the most advanced treatments for the greatest potential outcomes. While you are with us, we need you focused on getting better, and want to make the process as comfortable and safe as possible. Our state-of-the-art hospital offers rooms which include amenities such as televisions, telephones, and wi-fi, and access to 24/7 registered nursing care. We are proud to help patients throughout the Johnson City, TN area change their lives for the better. Rehabilitation is covered in full or part by most health insurance plans, including Medicare and Medicaid. Our hospital has contracts with most major insurance companies and is willing to negotiate with other companies, as needed.